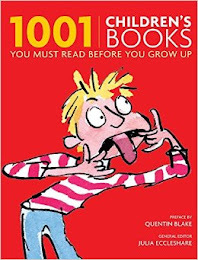 If I've read the book during this blogging life, then I include my review link, otherwise, you just have to take my word for it! This month the starting book is The Slap by Christos Tsiolkas. I have tried to read The Slap several times, but simply cannot get past the first page. Lots of people have highly recommended this book to me, but I just can't do it. I couldn't even watch the TV series. I have the same problem with The Light Between Oceans. I can't get past the first page and I have no intention of seeing the movie. I could probably fill a whole #6degrees with books that I can't read past the first page, however, that would be a tad boring. So, instead I will link to a lighthouse. One of my favourite children's picture books is The Lighthouse Keeper's Lunch by Ronda & David Armitage. Ronda was born and raised in New Zealand while David grew up in Tasmania. However, the were living in the UK when they wrote/illustrated the book together. Debate still rages over which lighthouse they were referencing! There are cheeky, talking seagulls, a hungry lighthouse keeper and a scaredy cat, called Hamish. Which leads me beautifully to my favourite and best (see what I did there?) Hamish of all time. I was a huge and avid fan of the BBC TV series set in the fictional town of Lochdubh. But I had no idea at the time, that it was based on a series of books by M C Beaton. 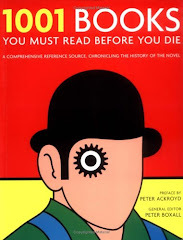 I read the first book (in a series of 29!) called Death of a Gossip a few years ago. 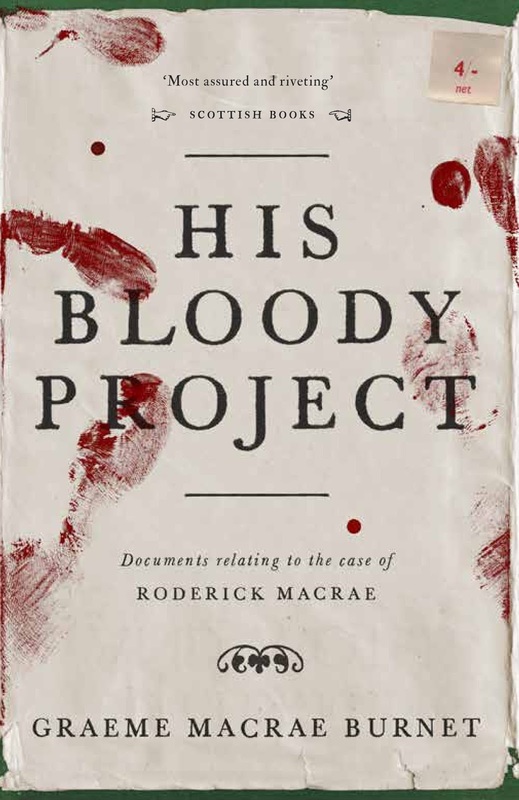 Another Scottish gem with a bit more literary cred (shortlisted for last year's Man Booker) was His Bloody Project by Graeme Macrae Burnet. Set in the Scottish Highlands, this psychological thriller claimed to be a true story about Burnet's ancestor, Roderick Macrae. But it wasn't. 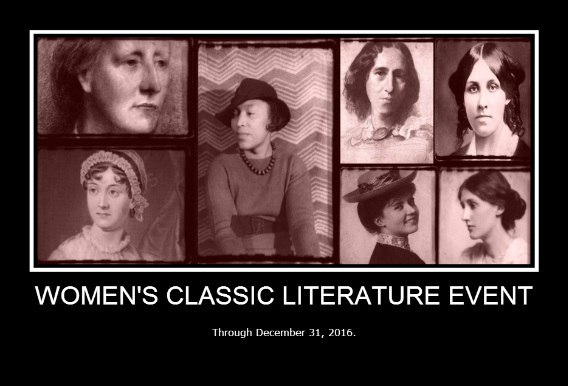 It was highly entertaining and fiendishly good fiction dressed up as fact. Which leads me back to Australia and our famous 'is this true or not?' story, Picnic at Hanging Rock by Joan Lindsay. I was devastated when I discovered that the story was pure fiction. 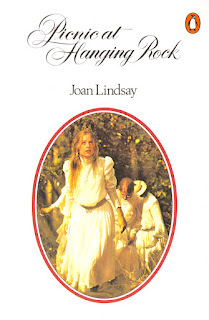 Joan Lindsay was an interesting character - she believed that clocks and other machinery would stop in her presence & she apparently dreamt most of the story about Picnic at Hanging Rock. Her parents were friends with Martin Boyd, she studied painting under Frederick McCubbin and married Norman Lindsay's brother, Daryl. 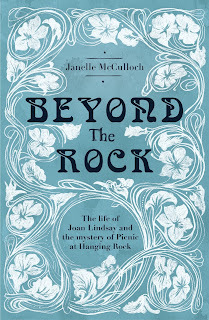 I hope to find out lots more when I dive into Beyond the Rock by Janelle McCulloch. My chain went from a modern Aussie backyard BBQ, to lighthouses, the Scottish Highlands and back to the Australia bush circa 1900. Where did your chain take you? Next month (June 3, 2017), the chain will begin with Steve Martin’s Shopgirl. I jumped over to see which Aust book circa 1900 you chose (my guesses were My Brilliant Career, Seven Little Australians and Such is Life). Picnic is an ok book, but one of my favourite movies of all time. Where'd you get your info for Joan Lindsay, is there a bigraphy? She comes up a couple of times in Martin Boyd's autobiography and I got the impression she was an in-law (like one of her siblings married one of Boyd's cousins). I like the connection to McCubbin - it came up recently - brain's going - but I think someone had a photo of Joan with McCubbin's daughter (something like that). 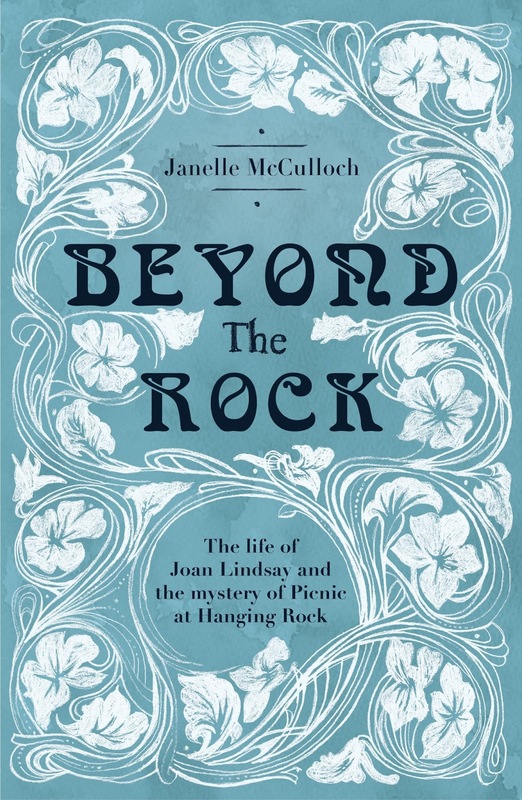 I read a weekend paper review a couple of weeks back about Beyond the Rock which is where I picked up some of the info about Lindsay I think. It certainly piqued my interest. Somewhere in my TBR pile I also have a copy of Joan's autobiography. The only good thing about being ill this week has been all the extra reading (& blogging) time I've had. But still not enough to make a huge dint on that TBR pile! I do like this meme - great links. I tried the opening of The Slap but hated it, so I didn't bother reading any more, especially when I read some of the reviews. 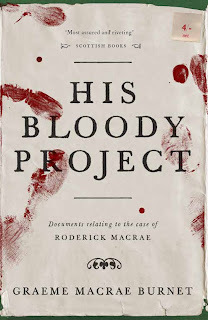 I'm glad you enjoyed His Bloody Project because that is the next book for my local book group. 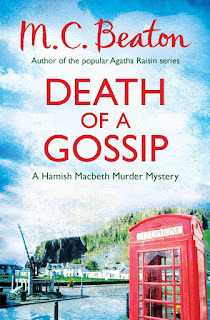 I've only read one Hamish MacBeth book, which was Death of a Gossip, but I was a bit disappointed with it and have never read any of the others - maybe I should try another one. And I'm tempted by Picnic at Hanging Rock. My chain took me nowhere near your chain! I took me from Melbourne to New York, Ireland, Nagasaki, and Great Britain my chain links books about children, gravediggers, the nature of memories, meditations on life and death, and a murder mystery. 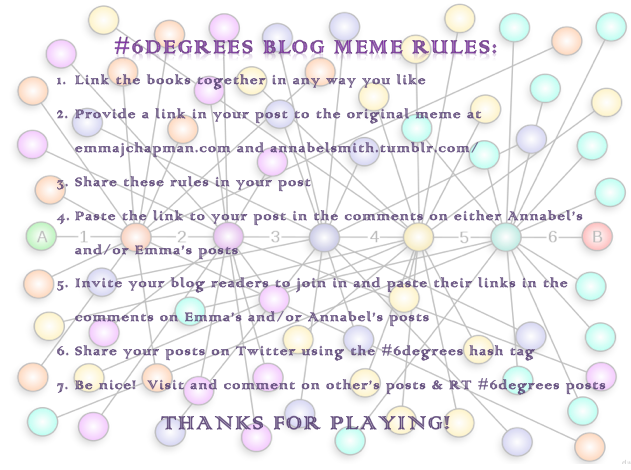 (http://www.booksplease.org/2017/05/06/six-degrees-of-separation-from-the-slap-to-the-cipher-garden/) - I've included the postlink as the link I can put on this post on your blog just takes you to my old blog - if you see what I mean. 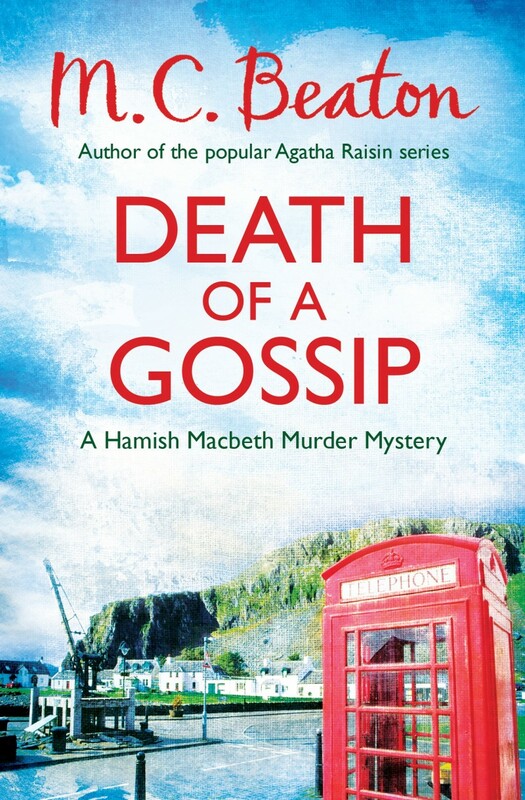 I've only read the one Hamish book as the TV series was only very loosely based on the books - although maybe some of the TV characters make an appearance in the later books. It was the TV series that I LOVED!! I hope you enjoy His Bloody Project as much as I did. 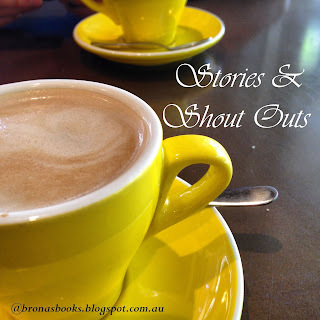 Oh, I love the Lighthouse Keeper's Lunch, so glad you linked a children's book! 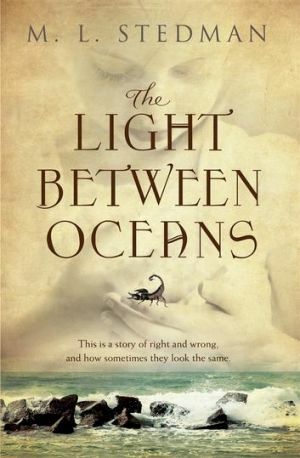 I haven't read The Slap, but I also couldn't get past the first few pages of The Light Between Oceans. I've not read The Slap, but based on some of the comments made by others, It's doubtful I'd make it through. I felt the same way as you about The Light Between The Oceans. I'm sure the only reason I made it through it because it was a book club selection. It turned out to be a 'clunker' for our group. 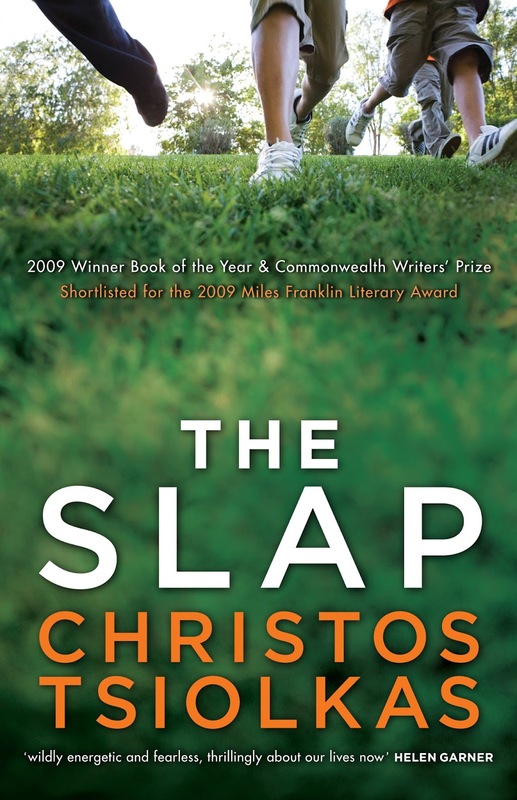 I got through the book of The Slap, and quite enjoyed it on the whole, although it is rather confronting and not a comfortable read much of the time. I didn't make it through the TV series. I just went back and reread my review which is always interesting after a few years, to see if your memory matches up with your thoughts at the time. 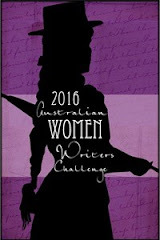 Of your other reads I have read The Lighthouse Keepers Lunch (which I didn't love) and Picnic at Hanging Rock (which I did). I had always felt bad at not having read The Light Between the Oceans, but maybe that's not such a bad thing. Still, I might try it one day. Love seeing where all the chains lead to! 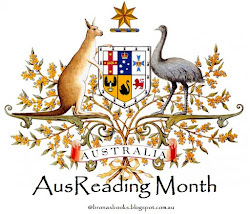 Yours looks a bit like an extract from my TBR this month, especially His Bloody Project and Picnic at Hanging Rock. I saw the film of that one when it came out and was blown away by it - so much so I've always been a bit scared to watch it again in case I'm disappointed in now I'm... ahem... maturer. I'm getting ready to try the Slap--it coincidentally arrived the day before this Meme started. 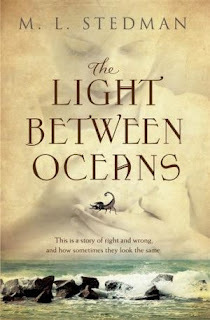 I enjoyed Light Between Two Oceans and will probably watch the movie on DVD. I love just about anything set in Scotland so I'll go looking for those. Hanging Rock has been on my TBR list forever. Now, about that marvelous children's book!! Love it.